Ambassador Carlos C. Salinas delivering his message on the launching of 2016 Madrid Fusion Manila at the Pabellon de los Congresos with participating Filipino and Spanish chefs. 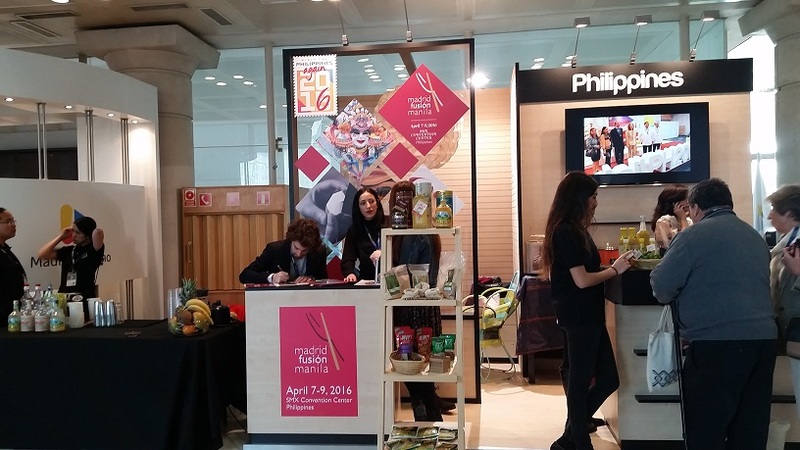 The Philippines is again participating in this year´s Madrid Fusion 2016 – 14th Edition, which is being held from 25 to 27 January 2016, at the Palacio Municipal de los Congresos in Madrid. The Philippines is on its second year in the international gastronomic event through the Philippine Embassy in Madrid and the Department of Tourism. Chef Chele Gonzalez during his presentation on Filipino food. 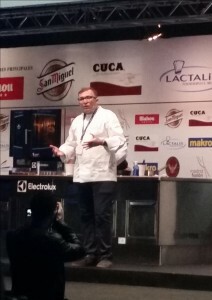 During the three day event, Philippine culinary techniques were presented by Spanish Chef Jose Luis “Chele” Gonzalez, who owns the restaurant Gallery Vask in Manila. Among the highlights of the presentation were the cooking technique of the Aetas of Pampanga called binuló, wherein dishes were cooked in bamboo trunks with banana leaves on fired coal; typical Filipino street foods such as taho, isaw (chicken intestines) and the pan de sal. The Spanish chef elevated these Filipino dishes into gourmet plates. 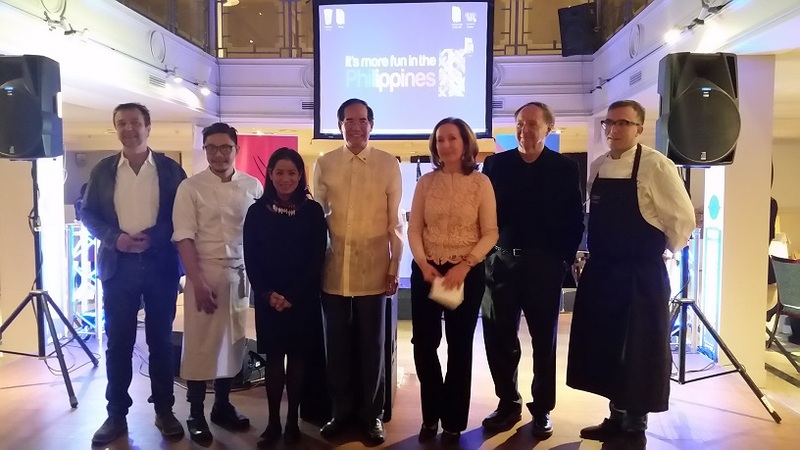 Following the Philippine food presentation, Philippine Ambassador Carlos C. Salinas officially launched the Philippine´s hosting of the Madrid Fusion Manila 2016 to be held in Manila from 07 to 09 April 2016. He also introduced and welcomed the Filipino and Spanish chefs participating in the event in Manila. Ambassador Salinas remarked that Filipino cuisine is making a name in the international culinary industry and it is the pride of the Philippines to host such a prestigious gastronomy event in Manila for food enthusiasts. He also cited and congratulated Ms. Margarita Forés for her being named as Asia’s Best Female Chef for 2016. Amb. 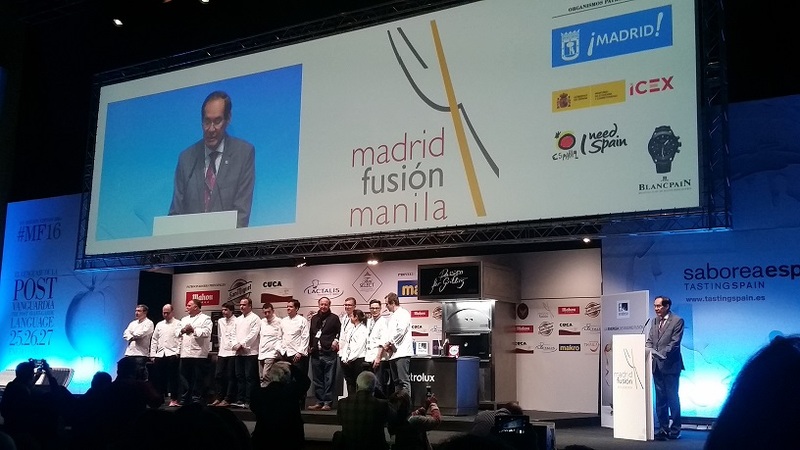 Salinas with the organizers and participating chefs at the Madrid Fusion Manila 2016. The Ambassador extended the invitation to all food aficionados, businessmen in the food and beverage sectors, and chefs to visit the Philippines during the Madrid Fusion Manila and at the same time visit the breathtaking beaches and majestic mountains of Luzon, Visayas, and Mindanao. 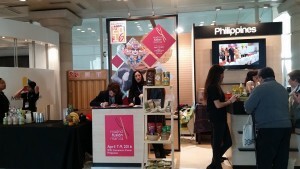 Philippine stand at the Madrid Fusion 2016. Ambassador Salinas expressed confidence that Madrid Fusion Manila will not just continue to promote Philippine cuisine, but it will also increase the arrival of Spanish tourists in the country. A cocktail reception was held on 25 January 2016 to officially welcome participants and organizers in Madrid for this event.